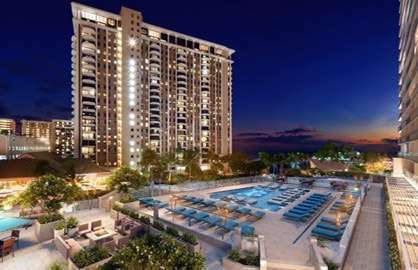 The Ilikai, a gorgeous remodeled oceanfront property overlooking Waikiki Beach and the Yacht Harbor. 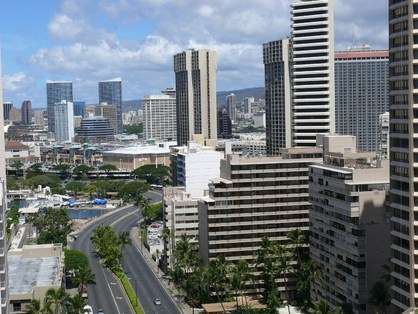 Nestled between The Edition Hotel and Hilton Hawaiian Village within walking distance to the world class Ala Moana Shopping Centre you will find everything you could possibly need is right at your doorstep. 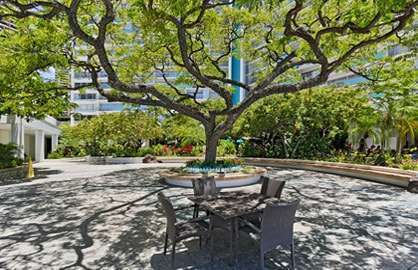 From the moment you step into the entrance of the Ilikai, you will experience the grandeur and elegance of the entrance and lobby, the beauty of natural stone and timber compliments this gorgeous three winged Y shaped 30 storey towers. 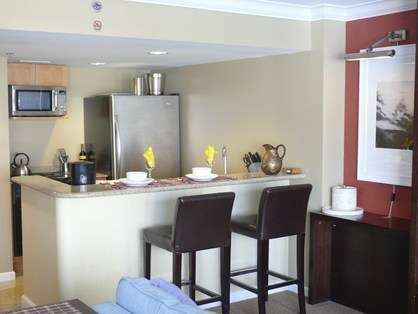 Modern stylish decor compliments the large one bedroom/studio condo, fully renovated in May 2008. Two double beds with floor to ceiling sliding doors allow for a bright and airy appeal. Sitting on the gorgeous couch you can relax in comfort whilst watching the built in 42" LCD TV. The bathroom features granite bench tops, glass shelving, large mirrors and cupboards for ample storage. A state of the art kitchen meets all your requirements, cook top, microwave, full sized stainless steel refrigerator/freezer with granite bench tops and breakfast bar. 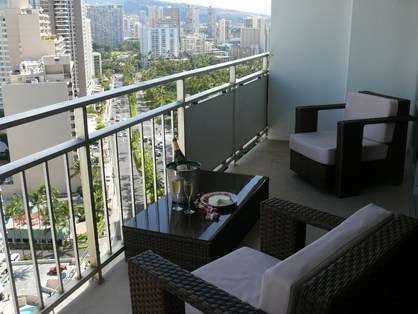 Relax on the spacious lanai overlooking the city, mountains and Fort De Russy Park (the cool side of the building). 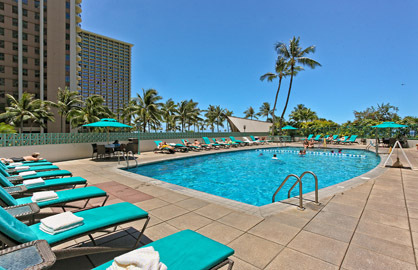 Relax in the resort like facilities including the pool which overlooks Waikiki Beach and Hilton Lagoon pool. The grounds feature volcanic rock, waterfalls and lush tropical plants. 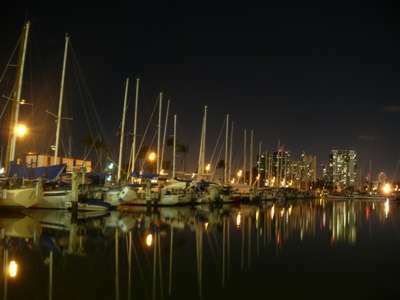 Relax with a drink at Canoes Restaurant, taking in the yacht harbor and beach. 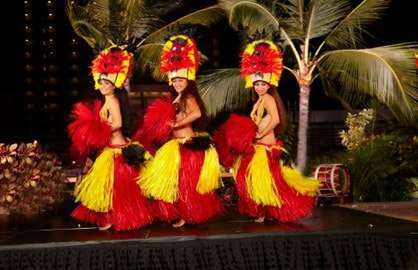 Enjoy the beach activities at the adjacent Hilton Lagoon pool and be swept away by the free Friday night Polynesian extravaganza and spectacular fireworks display at the Hilton pool. 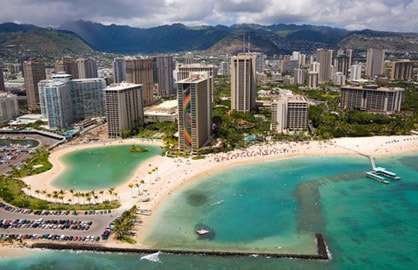 Vacationing in Waikiki, you will be seduced by the beautiful scented flowers, tropical sea breezes and balmy evenings. Whether you wish to swim, snorkel, surf, hike, shop or just put your feet up and relax, you can indulge yourself here. 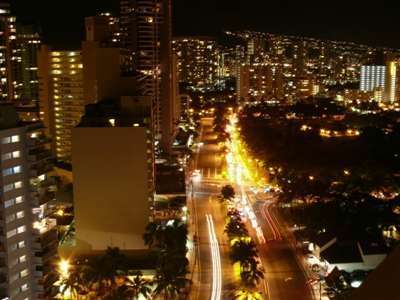 Take an evening stroll along the boardwalk and Waikiki Beach. 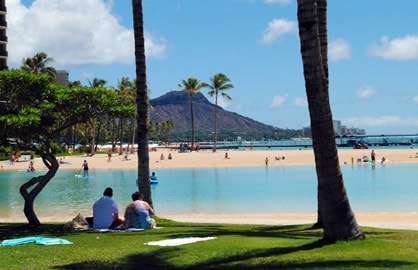 Swim with the turtles at Ala Moana Beach, only five minutes away or shop 'till you drop at the gorgeous Ala Moana Shopping Mall. 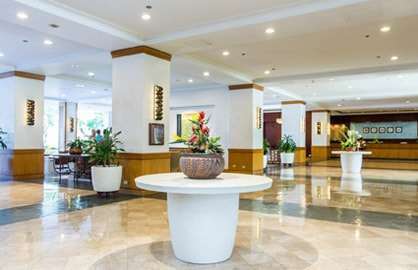 You will find yourself surrounded by wonderful restaurants and amenities that cater for all budgets. 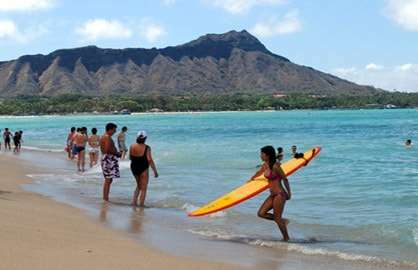 You will not need a car whilst staying at the Ilikai, everything you could possibly want is within walking distance. If you wish to venture further out, or wish to save your feet, the bus stop is only foot steps away. 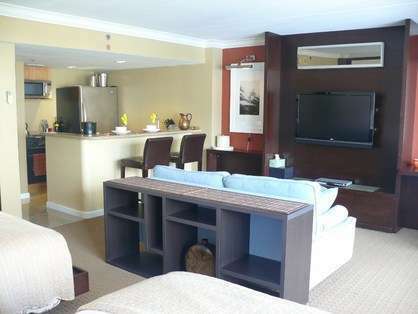 We know everyone has their idea of a perfect vacation; we aim to fulfill yours by staying at 2123 Ilikai. Viewing our photos at 200% will enable clearer images. 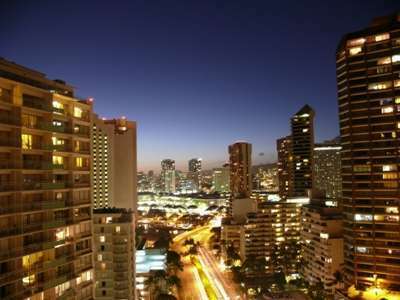 Ilikai 2123 - Great apartment and very well equipped with storage and amenities. 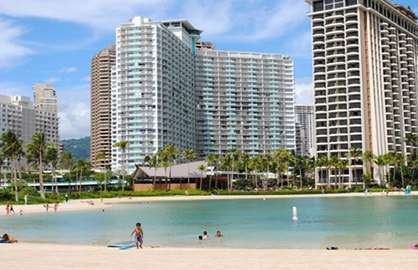 Have been staying at the Ilikai for many years due to its great location - beach, lagoon, shopping and being at the end of Waikiki. This apartment is high up with lovely mountain and city night light views. On a hot day was great to come back and relax on the lanai in the shade whereas some other aspects are hot in the afternoon sun. Will definitely stay Here again- great value for money. 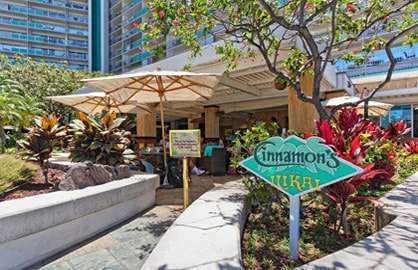 Ilikai 2123 - We stayed here for 10 days in January 2018. Fantastic condo. Clean bright and airy. The photos are exactly what you see. Beds were extremely comfortable. Lots of bedding and pillows for our use. 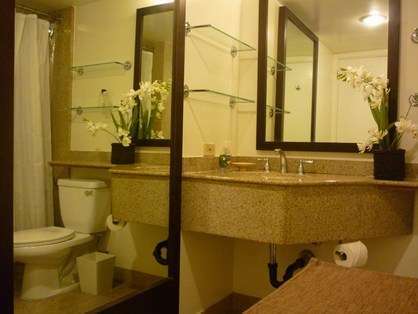 Bathroom well maintained. Lots of white cotton towels along with 2 large beach towels. Full kitchen with all the appliances you need. Large tv and free internet. Large balcony with great views of the city and mountains. High enough up not to notice sounds of traffic below. Great facilities in the hotel. 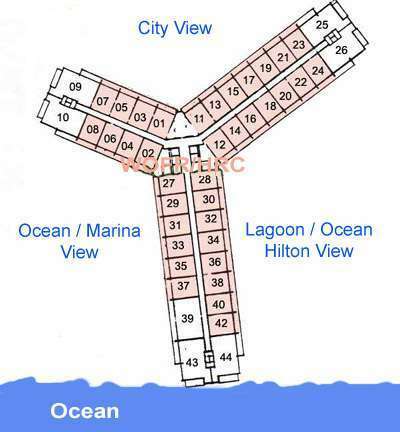 Use of both pools and restaurants. Staff very helpful and courteous. 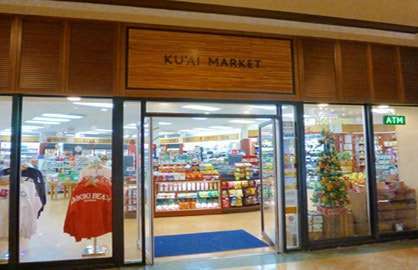 Stores in lobby handy but ABC store across street was less expensive with more variety. PERFECT stay. Bonus, as the condo was not booked the day we checked out we had a free late check out of 8:00 pm which was fantastic as our flight home wasn't until 10:00 pm. Extra day in paradise. Thank you. 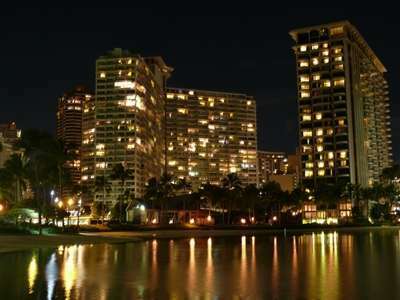 Ilikai 2123 - Loved the location and the building is very secure for a female travelling on her own. Staff and facilities all were great. Would definitely stay again. I was recommended the site from a work colleague. When I finally settled on a room (Ilikai 2123), I found the whole booking experience seamless and was very impressed with the quick response and communication. I was also very happy that we were able to have an early check in after our long flight from Sydney. Once again, the quick response to my email request was fabulous. On our arrival the condo was easily accessed via the keypad... that was fabulous as I didn’t have to remember the keys every time we left. The condo was spotless and there were enough towels to get us through the week. The beds were very comfy and it was wonderful having a complete kitchen to stock a few items. 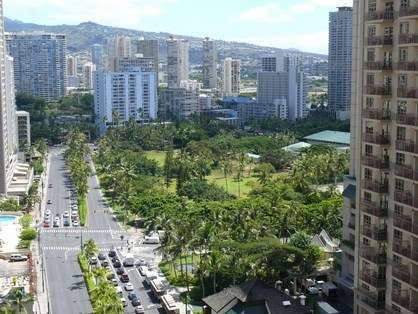 Waikiki is easily accessed from the building with the trolley stop right out the front. 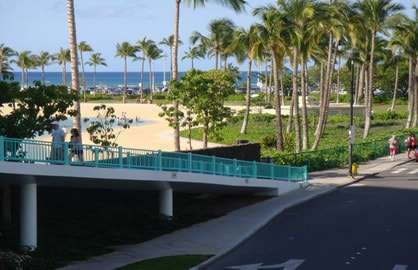 Walking to Ala Moana and to restaurants was easy. Hire car offices right across the road in Discovery Bay. Thank you for making our holiday so easy and comfortable. I’ll be back! Top Notch! We arrived early in the morning and after a LONG flight just wanted a shower and real food so we were SOOO happy to be able to enter our room early! What an entrance it was. I am not sure what I was expecting but what we got was fantastic. The condo was so spacious. The full kitchen provided that extra saving from eating out all the time. Lanai was large and the furniture great! We could not fault the room. 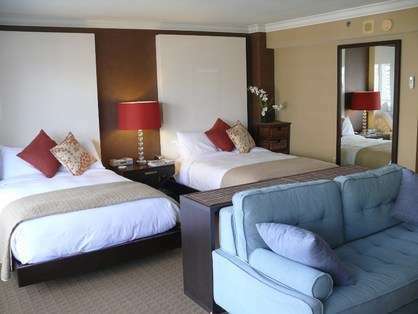 Really nice decor and super comfy beds (we all know that is a must). The location of the Illikai was wonderful. We could walk many places and if we couldn't and didn't have a car the bus stop was right out the front.. Convenient!! The valet service was just perfect. They were so helpful with island information, Ty specifically was the BEST, seriously we could not be more pleased with him, he made us feel like friends and we were very say to leave him. The only negative was that as we hired a private condo we were not allowed to use the hotel Gym which for us was a bummer. Thank you to the owners, for everything. We will be back for sure and have already told many of our friends. 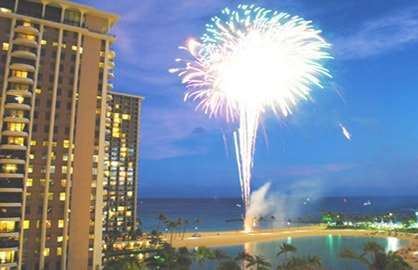 I wanted to let you know that our stay in the Ilikai was FABULOUS!!! Thank you so much for all your help! What a beautiful location!!! It was a vacation we will NEVER forget!! !